Here’s some great shots of Dean’s micro-dermal nape piercings w/4mm high polished titanium discs. Always a pleasure and an honour for the continued trust. This entry was posted in Dermal Anchors, Piercing Portfolio and tagged Body Jewellery, Body Modification, Body Mods, Body Piercer, Body Piercing, Dermal Anchor Piercings, Dermal Anchors, El Capitan, Greenwich, London, London Body Piercing, London Piercer, London Piercing, Micro Dermals, Microdermal Anchor Piercings, Microdermal Anchors, Microdermal Piercing, Microdermal Piercings, Microdermals, Piercing Portfolio, SE10, Shiva Heads, Shiva Piercings, South East, South East London, South London Piercing, Surface Piercing, Surface Piercings, Titanium, UK Body Piercing, UK Piercer, UK Piercing. Bookmark the permalink. Had an absolute blast adding to the lovely Tess’ piercing collection with three microdermal anchors alongside the collarbone. Was more than happy to spend time dotting these up to get them perfectly positioned at Tess’ request and we were both extremely happy with the results. Thanks for the great contrasting shots, this was a real fun one; and it always means a lot to provide people with their perfect piercings. This entry was posted in Dermal Anchors, Piercing Portfolio and tagged Anti-Symetrical, Body Modification, Body Mods, Body Piercer, Body Piercing, Collarbone Dermal Trio, Collarbone Dermals, Collarbone Piercings, Collarbone Poppin', Dermal Anchor Piercings, Dermal Anchor Trio, Dermal Anchors, Dermal Trio, El Capitan, Greenwich, London, London Body Piercing, London Piercer, London Piercing, London Town, Micro Dermals, Microdermal Anchor Piercings, Microdermal Anchors, Microdermal Piercings, Microdermals, Odds Over Evens, Piercing Portfolio, Pop Yo Collar, Pop Yo Collarbone, SE10, Shiva Piercings, South East, South East London, South London, South London Piercer, South London Piercing, South London's Finest, Surface Piercing Trio, Titanium, UK Body Piercing, UK Piercer, UK Piercing. Bookmark the permalink. 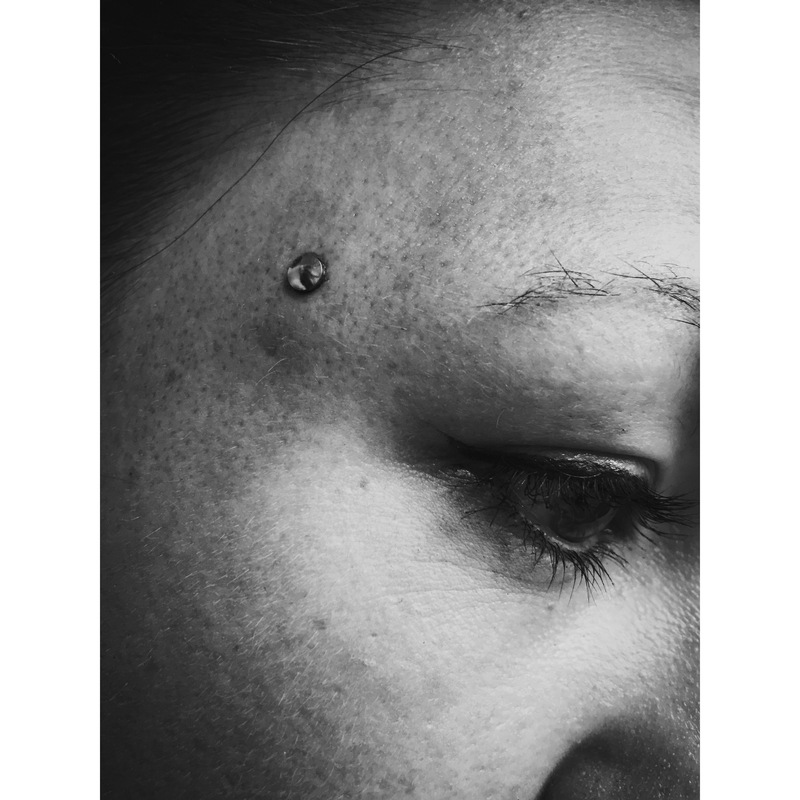 Excuse the blood but here’s some nice contrasting photos of Adele’s microdermal wrist piercing w/two-tone black stone, that has a crystal clear poppin’ center. This entry was posted in Dermal Anchors, Piercing Portfolio and tagged Body Mods, Body Piercer, Body Piercing, Dermal Anchor Piercings, Dermal Anchors, El Capitan, Greenwich, London, London Body Piercing, London Piercer, London Piercing, Microdermal Anchor Piercings, Microdermals, Piercing Portfolio, SE10, Shiva Piercings, UK Body Piercing, UK Piercer, UK Piercing, Wrist Dermal, Wrist Dermal Anchor. Bookmark the permalink. Some awesome contrasting shots of Megan’s double microdermal anchors w/5mm turquoise gem stones, alongside the wrist and forearm vertically. This entry was posted in Dermal Anchors, Piercing Portfolio and tagged Body Mods, Body Piercer, Body Piercing, Dermal Anchors, Double Dermal Anchors, El Capitan, Greenwich, London, Micro Dermals, Microdermal Anchor Piercings, Microdermal Anchors, Microdermal Piercing, Microdermal Piercings, Microdermals, Piercing Portfolio, SE10, Shiva Piercings, Surface Piercing. Bookmark the permalink. Some awesome shots of Megan’s sternum double dermal anchors w/5mm iridescent gem stones. An absolute pleasure for people to put their continued trust in me, for the perfect piercing! 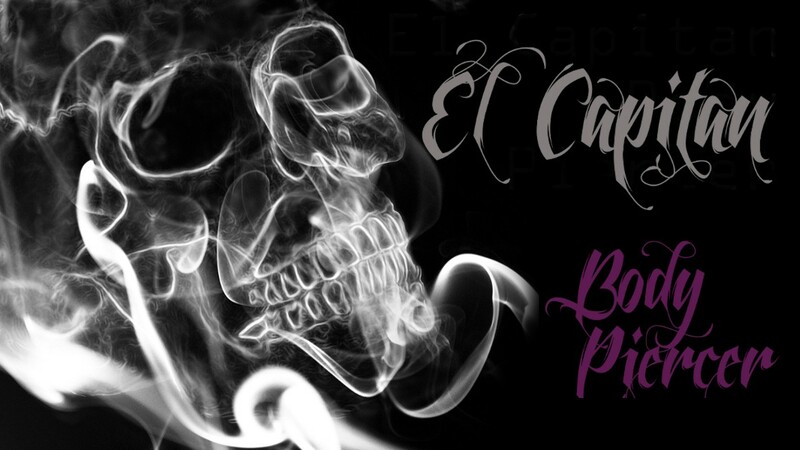 This entry was posted in Dermal Anchors, Piercing Portfolio, Uncategorized and tagged Body Mods, Body Piercer, Body Piercing, Dermal Anchor Piercings, Dermal Anchors, El Capitan, Greenwich, London, Micro Dermals, Microdermal Anchor Piercings, Microdermal Piercings, Microdermals, Piercing Portfolio, SE10, Shiva Piercings, Sternum Piercing, Surface Piercings. Bookmark the permalink. Always a pleasure to add to people’s piercing collections. Here’s a couple of sweet shots of the lovely Naima’s pair of sternum dermal anchor piercings. This entry was posted in Dermal Anchors, Piercing Portfolio and tagged Body Mods, Body Piercer, Body Piercing, Dermal Anchor Piercings, Dermal Anchors, El Capitan, Greenwich, London, Microdermal Anchor Piercings, Microdermal Piercing, Microdermals, Piercing Portfolio, SE10, Shiva Piercings, Titanium. Bookmark the permalink. 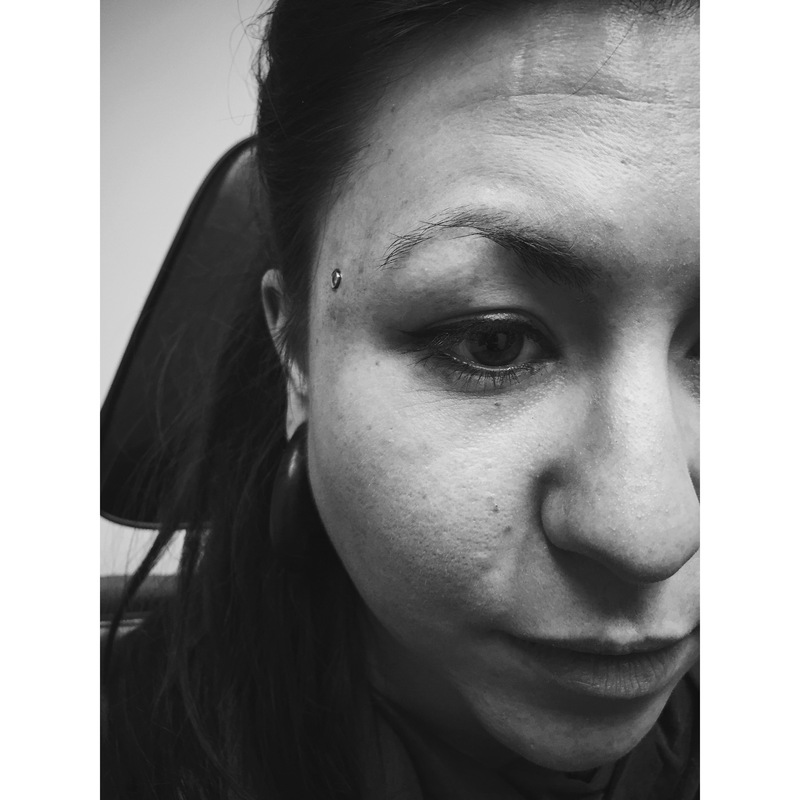 Was a pleasure and a lot of fun when Chelsea requested a microdermal anchor piercing on her temple (side of the face.) 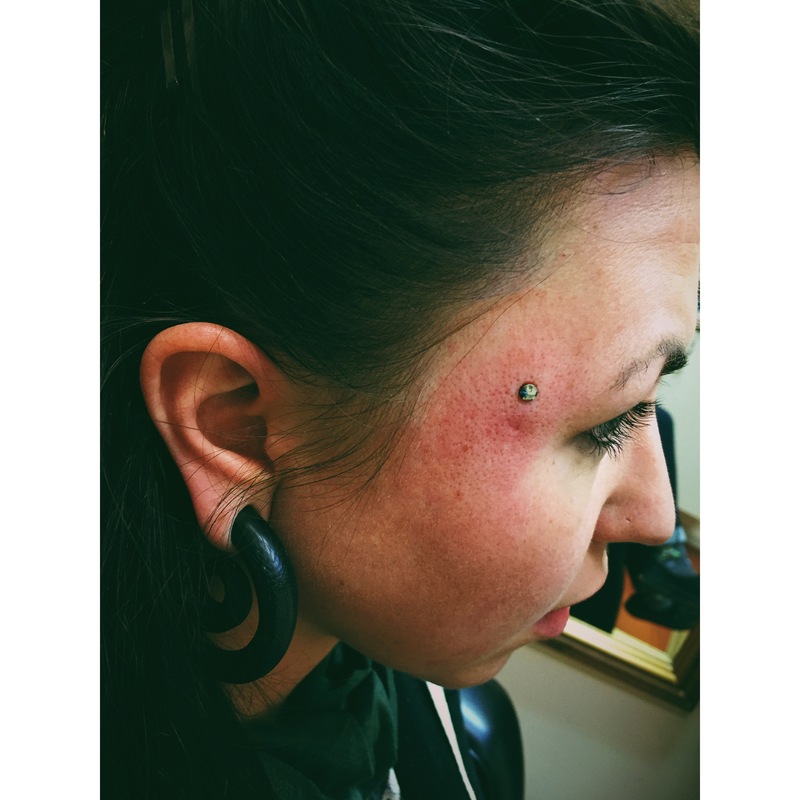 Chelsea had previously had this piercing procedure performed twice on either side of her forehead (each temple.) The scar around half an inch south of the dermal had been done before in Philly and Chelsea was more than happy with it for around three years before it grew out. She had a second done on the left side, elsewhere also; which never took (settled) and only lasted a few months. Chelsea was really happy with the results as was I and it is a constant buzz meeting so many wonderful people doing what I do in the studio at Shiva. This entry was posted in Dermal Anchors, Piercing Portfolio and tagged Body Mods, Body Piercer, Body Piercing, Dermal Anchor Piercings, Dermal Anchors, El Capitan, Face Anchor, Face Dermal, Greenwich, London, Microdermal Anchor Piercings, Microdermal Piercings, Microdermals, Piercing Portfolio, SE10, Shiva Piercings, Temple Anchor, Temple Dermal, Titanium. Bookmark the permalink.